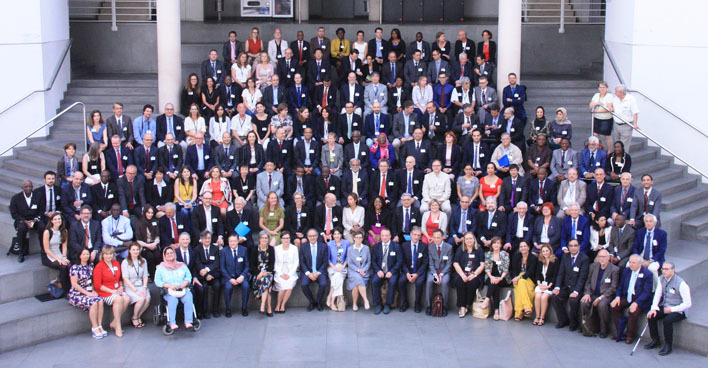 On 5-7 July 2017 for the first time UNESCO Chairs and UNITWIN Networks in Natural Sciences gathered in Geneva, Switzerland, for the Conference “Mobilizing UNESCO Chairs in Natural Sciences for Policy Action Towards the 2030 Agenda” to build synergy and cooperation. The 2030 Agenda represents a significant step forward in the recognition of the contribution of science, technology and innovation to sustainable development and as a driving force, not only for economic growth and prosperity, but also for environmental sustainability, development and social inclusion. As the only UN agency with science in its mandate, UNESCO is at the heart of this initiative, through its intergovernmental scientific programmes, science education initiatives, Centres of Excellence, institutes and UNESCO Chairs and UNITWIN Networks. Today, there are more than 700 UNESCO Chairs and UNITWIN Networks around the world, and more than 170 of these specialize in the fields covered by the Natural Sciences Sector of UNESCO. The UNESCO Chairs in Natural Sciences have an important role to play in the shared efforts to link science, policy and society to implement the 2030 Agenda for Sustainable Development and other UN development agendas. During this conference, the Chairs and Networks built synergies and pool resources for the implementation of the 2030 Agenda and its Sustainable Development Goals. The meeting was concluded with the adoption of the Geneva Milestone, a blueprint to strengthen UNESCO Chairs’ contribution to transformative change towards the implementation of the 2030 Agenda through cooperation.